Marcela Valladolid is not only my favorite Food Network chef, but now she is also bringing her own line of Mexican food to grocery stores near you! Chef Marcela is the host of Mexican Made Easy and one of the hosts on The Kitchen both on the Food Network channel. We all know that’s my fave channel, hello! I follow her on Instagram, and know how much time and love she has put into her food line, so I was super excited to try out her items. I don’t normally shop at Vons or Safeway which are the two stores that carry her line, but I made the trip to Vons a couple of weeks ago, and purchased some of her items. I will share my thoughts on the items I got with you. Let’s get started! I will start with these snacks. These Limon Potato Chips were delish! They are cut thicker than normal chips, but they are not as thick or hard as kettle chips. I loved their texture and salty lime flavor. I topped them with some Mexican hot sauce… yum! The Ancho Chipotle Chicharrones or fried pork skin I bought specifically for my husband because he loves chicharrones. I ended up loving them more than he did. I topped them with a squeeze of fresh lime. They were so flavorful, but he prefers more plain flavors. For example he always buys plain potato chips and I never do. So if you like spices and lots of flavor you will love these chicharrones. 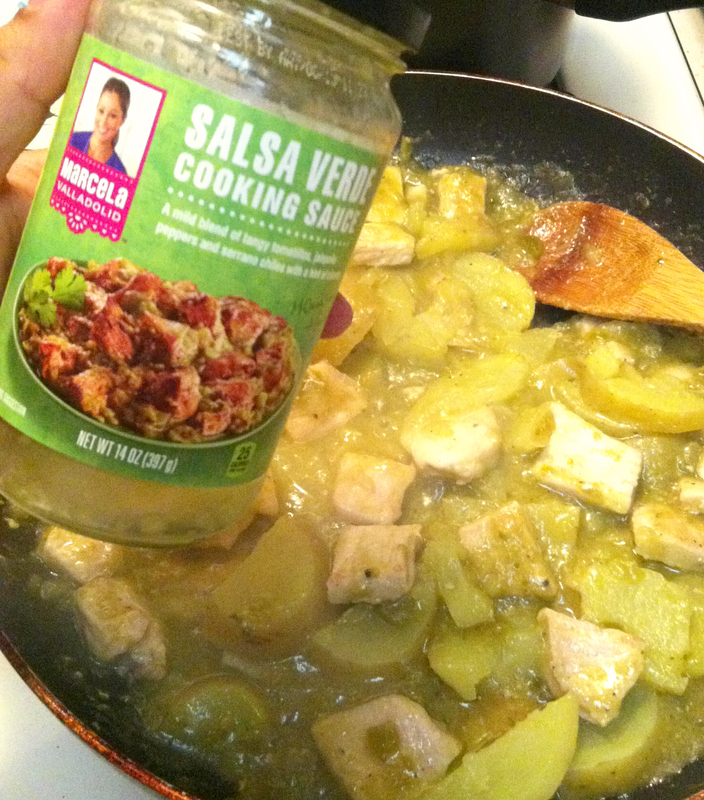 The Salsa Verde cooking sauce is so, so delicious! I used it for 2 things. I made pork and potatoes simmered in the salsa verde (picture below) for dinner one night, and another day my husband had some of the salsa with eggs for breakfast. So quick and easy. 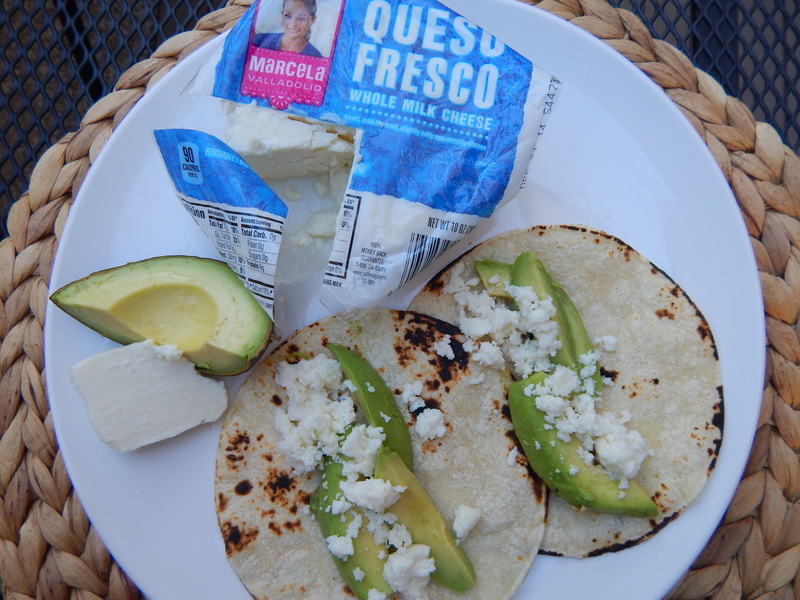 The Queso Fresco was my favorite item! I used it for a few dishes, but my favorite was in simple breakfast tacos (picture below) made from corn tortillas, avocado and the queso. I love it because it has a great crumbly texture and it is not too salty like some queso frescos can be. When I made my tacos, Chef Marcela saw my photo on Instagram and featured it on her Instagram page (click link to see) which was beyond exciting for me. Thanks, Chef! 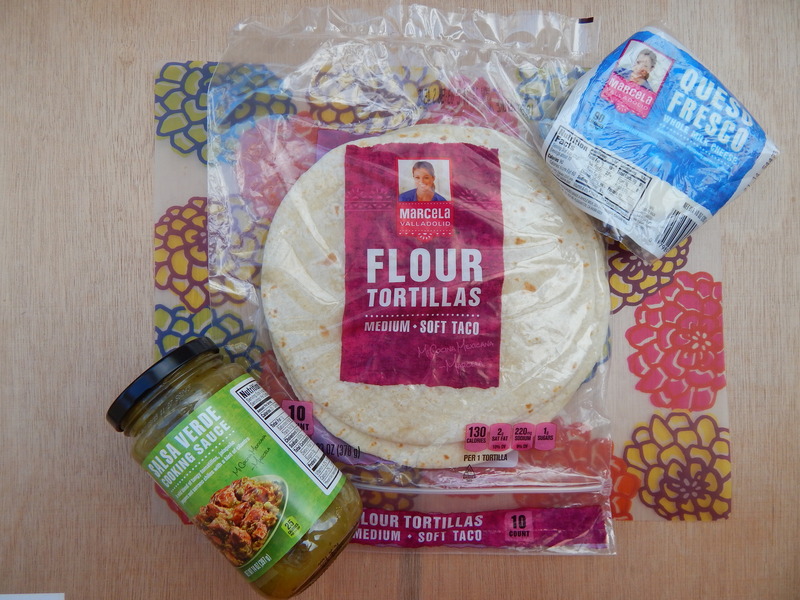 I wanted to try both corn and flour tortillas, but the store only had flour. These flour tortillas are great because they are nice and thin and they puff up when you heat them. I normally hate store-bought flour tortillas, but these were soft and not too thick. Lastly, I got a couple of frozen food items. I don’t buy many ready-made frozen meals, but sometimes you find really good ones like these! I am obsessed with the Corn & Poblano Lasagna. It is cheesy, it is smokey and it is comforting! My husband ate the Beef Birria and he loved it! He said it had a slow cooked rich flavor. It is not a spicy dish which is perfect for him because doesn’t love spicy food. He said he could have eaten 2 more! Here are my little Avocado and Queso Fresco tacos and my pan of Salsa Verde Pork and Potatoes. 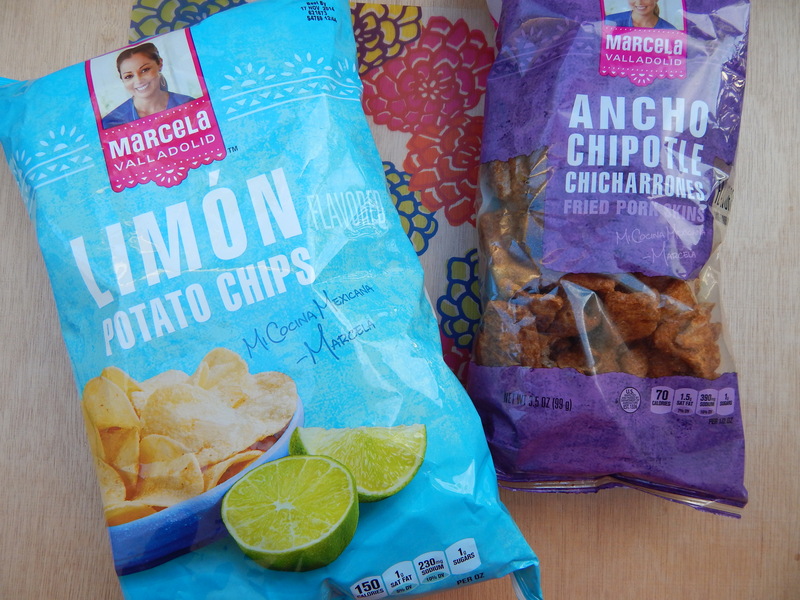 I am so impressed with the Marcela Valladolid products. I love the packaging as well. It is very pretty and colorful. She includes tips on how to serve the foods which is a nice personal touch as well. I will be repurchasing and trying more of her items. I am excited to try the soups that just came out. Let me know if there is an item of hers that you love so I can try that too! 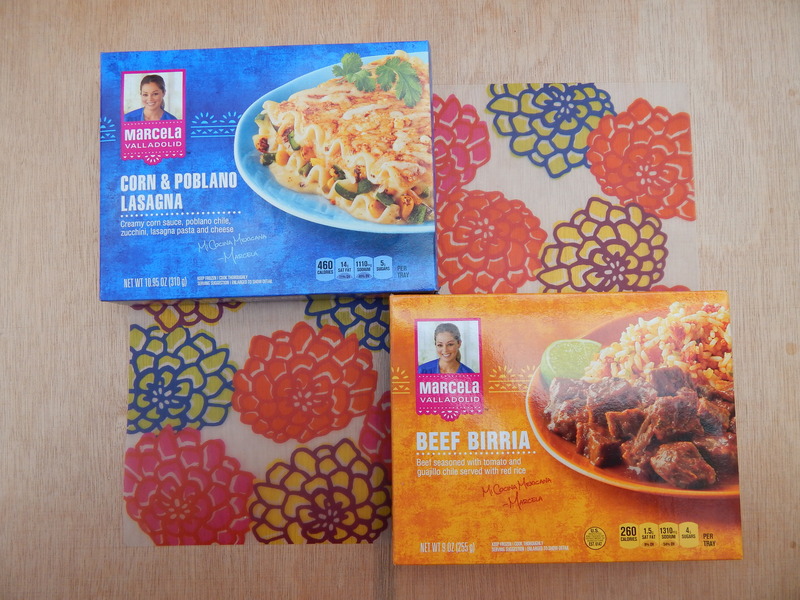 The Marcella Valladolid Chicken Enchilada frozen meal is delicious… BUT too many carbs!! I wish she would have a line of only enchiladas entrees so we can add vegetables or beans to reduce the carbs. Or maybe with low carb vegetables instead of rice or potatoes. There is a growing epidemic of diabetes so a Mexican meal line that says low carb version would be a growing success!